Hot online pinboard site Pinterest has closed a $27 million round of funding led by Andreessen Horowitz, we’ve confirmed. As part of the financing, general partner Jeff Jordan will be joining Pinterest’s Board of Directors. AllThingsD first reported that Andreessen Horowitz was leading a round of over $25 million that values the young startup at up to $200 million (the firm declined to confirm the valuation). This new funding round comes just a few months after a $10 million round the company closed this past spring, led by Bessemer. 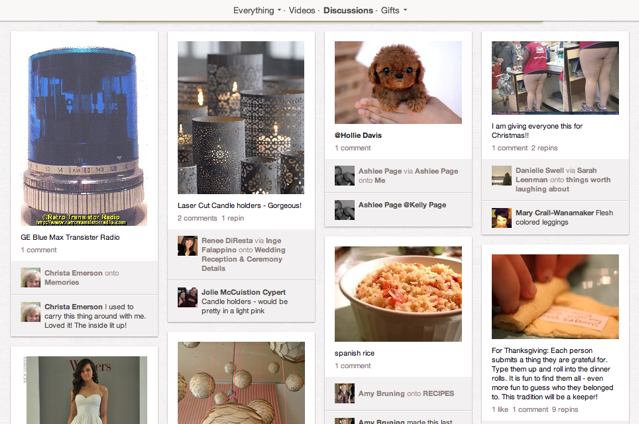 Pinterest is still invite-only, but it has garnered plenty of attention around Silicon Valley. And, notably, the site is getting a lot of traction outside of the tech bubble. The site’s popularity stems in part from its simplicity – at its core, it’s all about ‘pinning’ things you find interesting across the web, and saving them in whatever ‘Board’ you’d like (so, for example, you could make a ‘board’ of things you’d like to learn how to cook, showcasing tantalizing photos of steaks and ribs). The site is very visually oriented, with photos everywhere — which is what makes it fun to browse through the pinboards of other users. When you spot something you like on someone else’s board, you can re-pin it onto yours (sort of like a Tumblr reblog). And it’s open-ended, so people wind up using their pinboards to showcase a variety of different things. In an interview, Jordan said that Andreessen Horowitz is excited about Pinterest for three main reasons: first, the site is showing very strong growth metrics, despite the fact that it’s still in a semi-private beta. Second, the service has very strong user engagement — Jordan says the users who are registered often wind up using it “fairly voraciously”. And finally, the site has a clear path to revenue — a lot of the use-cases Pinterest users are coming up with have potential commercial intent (say, a list of things they want for their wedding). And there will certainly be business models that can be built around them. Pinterest cofounder Ben Silbermann says that the company is setting out to “connect people all over the world through common interest”, and notes that people often use their pinboards to show off things that interest them offline (in other words, it’s sort of like an online bridge between the web and the real world). Pinterest currently has a team of eight people, including Silbermann and fellow cofounders Evan Sharp and Paul Sciarra. They intend to use the funding to grow the team (by a lot, presumably).